Apple- The name is enough, isn’t it? Apple has millions of users across the world. Apple stands as the eleventh smartphone brand that has crossed the mark says, CyberMedia Research. It’s 2018; The Apple Company has already released a great iOS 12 updates with pretty good features. Guys, iOS 12 Software is a game changer for your iPhone devices. 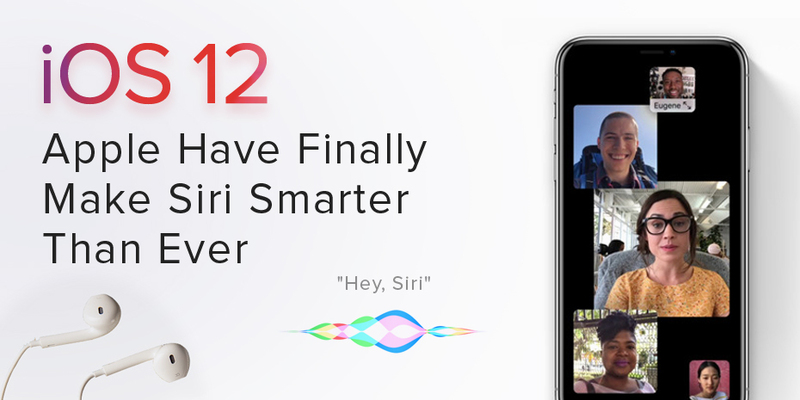 Previously, iOS 11 software with lots of bugs and have created a big mess, but this new upgraded iOS 12 software has bought powerful features which are pretty much significant for all iPhones users. Let’s take a look at everything you need to know about iOS 12 Software. Let’s start with FaceTime. Using this feature, you can connect with 32 people in one chat. Isn’t it fun catching? To make the conversation more clearly they have added Speaker and a bigger screen. It produces awesome sounds. You can add your friends to the discussion at anytime and anywhere. The new feature helps you to see important announcement first so you can take actions more fasters. The system arranges your warning and gathers useful information. This will allow you to decide fast. DND takes you to the next level based on time and location. It helps you to make sure that you are not disturbed while in a meeting or a place where you don’t want to use the phones. You need to ask Siri when you want to start DND with commanding it by saying ‘it’s bedtime’ during that time Siri will hide all the notification and tell you to sleep well. There are new features updated in camera which bring AI to keep your photos in more clarity. This is better than ever. Additionally, the big thing about this new camera is that you can set the background of the image after clicking pictures and make it work in real-time when required. You can import RAW format photos from your device and users can have the ability to edit the RAW image files on their iPad pro and correct it within a few seconds. Siri is now a lot smarter. It can help you to add shortcuts to your favorite things. Siri will follow your command and can work in multiple ways. For example, if you have lost your key and then use Tile app to add a shortcut to Siri who will automatically start ringing your Tile. AR has always been the big thing for our generation. It has changed the way we look at technology. Thanks to Apple! In iOS 12 you will be capable of experiencing AR in gaming and a lot more. For example, AR can be used for measuring objects or any surface in fact. Secure your data when you’re browsing on the internet. A new feature in iOS 12 blocks unsecured and third-party cookies. When you are browsing the web, you may get a notification it is unsecured. This will allow you to block unwanted ads and you will have more good time on the internet. There is more. You can read more about iOS 12 at Apple. If you are interested in these features, update it now. If you want your mobile application to work on these features, then we are an iOS mobile app development company with 25+ years of experience. Let’s connect know more about your requirements. Hire iOS Developer to meet your business objectives.